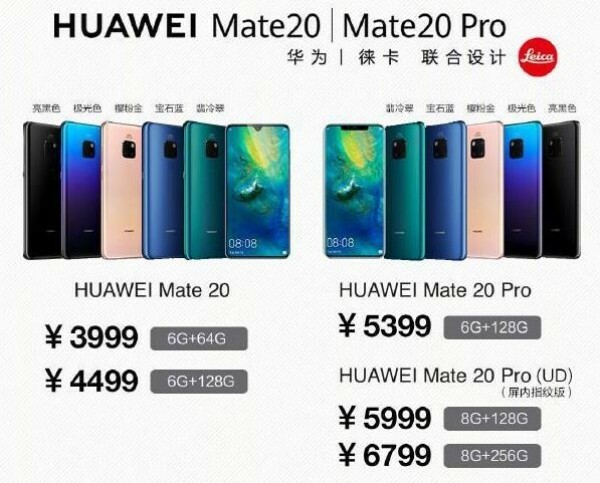 Today Huawei officially brought its Mate 20 series to the Chinese market. The Huawei Mate 20 will go on sale in 6GG+64GB version for CNY 4,000 (€500) and 6GB+128GB priced at CNY 4,500 (€570). Interestingly, Huawei will offer the Mate 20 Pro without a fingerprint scanner with 6GB of RAM and 128GB of storage for CNY 5,400 (€680). The Huawei Mate 20 Pro (UD) matches what other markets get and will retail at CNY 6,000 (€760) for a 8GB+128GB model and CNY 6,800 (€860) for the range-topping 8GB+256GB variant. 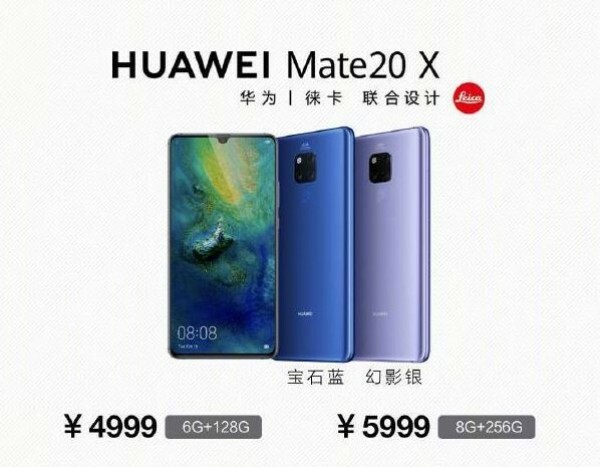 The gargantuan Huawei Mate 20 X will go for CNY 5,000 (€630) and CNY 6,000 (€760) for the 6GB+128GB and 8GB+256GB variant, respectively. The Huawei Mate 20, Mate 20 Pro, Mate 20 Pro (UD) and Mate 20X will go on sale later today. The Huawei Mate 20 RS Porsche Design will go on sale on November 10 priced at a whopping CNY 13,000 (€1,640) for its sole 8GB+512GB configuration.